throughout the night! We can also set 2 colors at a time for a nice blend. ✔ The brightest lights on the market! ✔ Actual pictures below of our lighting in action! Lighting is crucial addition to every event booked with Jam Event DJs. If you have an event that is expected to last past daylight, then the addition of lighting to your event can control how people react throughout the night. We offer a wide-range of options to choose from, that can include our basic 4-Bar floor wash light that changes colors on the covered area. We have a light that can give you the feel that you are “dancing under the stars”. We have various party lights that offer multiple changing effects to give life to a room as if you are at a concert. Our most popular lighting is our “Elemental Lighting” aka “Uplighting”. The market for elemental lighting has become a staple to the point that, on average, 8 out of 10 of our Bride & Grooms that hire us also request our elemental lighting. Our lights differ from other DJ companies, as well as other vendors such as caterers and photographers as WE actually control scenes in the night. You are given an option of whether you want specific static colors for your night, or our popular feature where we control the lighting throughout different points of the night. 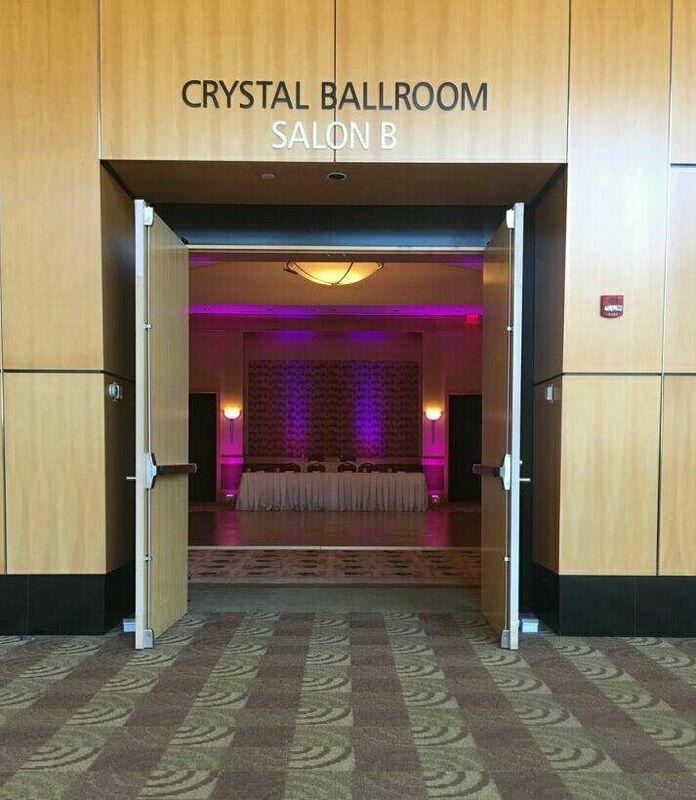 In advance of our events, we actually program different scenes with colors you choose, for example, cocktail our may be a calm blue changing over to pink and back, while your big introduction is set as a fast paced blinking sequence with 8 different colors. Uplighting can really control the environment your event is at, providing an over the top experience for a great value.